Trends in river water quality have been assessed for nine water quality indicators for sampling sites all around the country over the last 10 years (2008-2017). 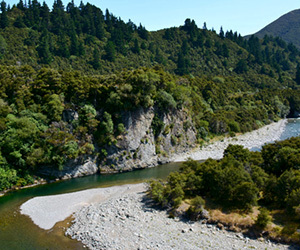 This year, Land,Air, Water Aotearoa (LAWA) reports 10-year national trends for the Macroinvertebrate Community Index (MCI) for the first time. Suitable data was available for between 319 and 673 sites depending on which water quality parameter you look at. The analysis included sites where samples were collected monthly, bimonthly or quarterly for chemical-physical and bacterial river water quality indicators and annually or twice per year for MCI.